Luminescent Threads celebrates Octavia E. Butler, a pioneer of the science fiction genre who paved the way for future African American writers and other writers of colour. Original essays and letters sourced and curated for this collection explore Butler’s depiction of power relationships, her complex treatment of race and identity, and her impact on feminism and women in Science Fiction. Follow the luminescent threads that connect Octavia E. Butler and her body of work to the many readers and writers who have found inspiration in her words, and the complex universes she created. Luminescent Threads also includes reprints of articles that have appeared in various forums, such as SF Studies, exploring different aspects of Butler’s work; it also includes a reprinted interview with Butler herself. Pricing includes postage. Postage for "Elsewhere" in the world is an estimated upper cost and excess postage will be refunded as soon as correct postage is priced. The Portalist: Patterns Around Octavia Butler: Alexandra Pierce talks about behind the scenes of creating this anthologist. And reprinted on The Mary Sue: here. 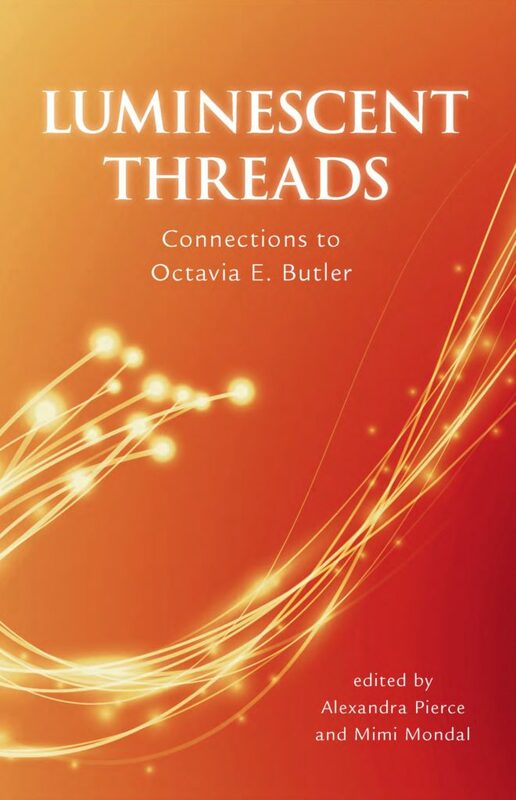 Read an excerpt from Luminescent Threads: Connections to Octavia E. Butler -- 'The Butler Effect' by Kathleen Kayembe. Read an excerpt from Luminescent Threads: Connections to Octavia E. Butler from Nisi Shawl at Strange Horizons. Alison Akiko McBain, at Mithila Review, says: "Luminescent Threads is an inspiring and creatively produced outlet for those who have been influenced by one of the pillars of the science fiction canon. This book is not only for fans of Octavia Butler, but also for fans of science fiction in general, and for those interested in learning how the genre has gotten to where it is today, especially with the rise to prominence of so many female and diverse authors. As a reader, a writer, a woman, a person of color and a lifelong fan of Octavia Butler, I’d definitely recommend it." 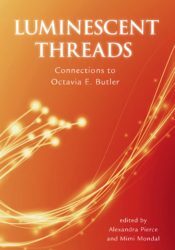 Deya,, at Bookriot, says: "...reading Luminescent Threads has changed the ways in which I view Butler – reading the contributors’ letters to her struck a chord in me. Here I was looking within people’s lives, understanding how an author has had so much influence in the way they have lived and loved. It has been an exhilarating experience to know Butler through people whose lives she has touched, and who found refuge in her complex universes."